Thanks to Sarah Bresher Wallen for sharing this prize winning cake. 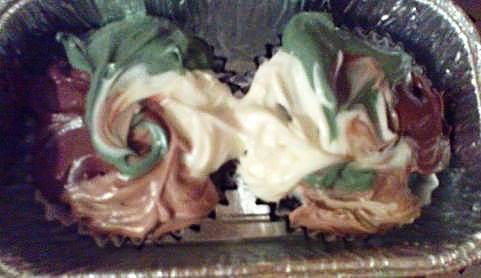 Sarah also made camo cupcakes for the local 4H Bake Sale using the same method. Congratulations to Sarah for winning first place in her county fair with this cake. She shares her super easy recipe with us below. 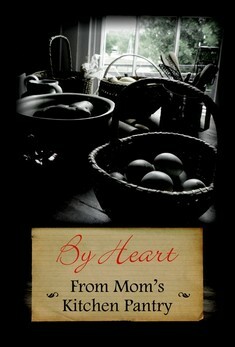 She plans on making a cake for each of her nephews when they return home from Afghanistan. Mix up a milk chocolate cake mix and a french vanilla cake mix in two separate bowls. In a 3rd bowl mix a little of the chocolate with white cake batter to make the tan, and in a fourth bowl mix a little of the chocolate batter with a little white with green food coloring for the camo green. She put it in the cake pans using 1/4 cup measuring cup in layered blobs. Bake the cake layers according to the box directions. 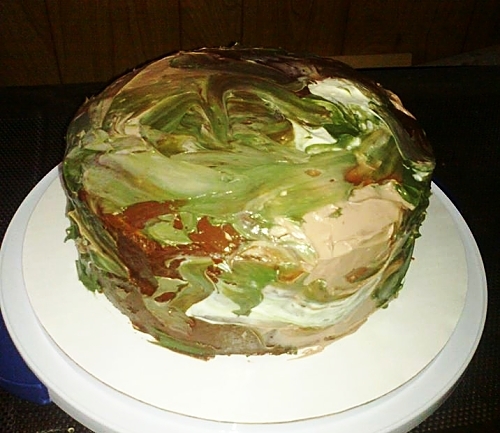 The icing was created the same way using the same colors and swirled together after patching the colors on randomly.